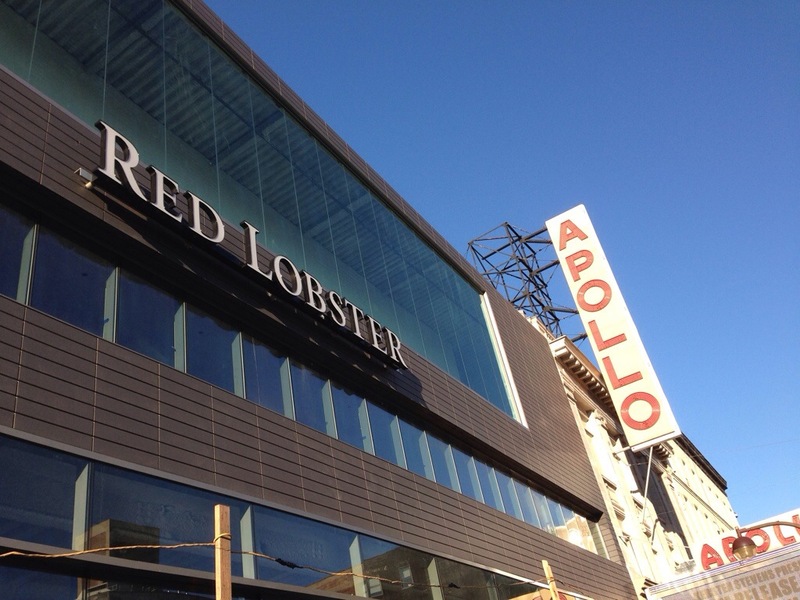 Harlem’s first Red Lobster set to open to the public November 11, next to the Apollo Theater | HarlemGal Inc. This entry was posted in 125th Street, business, Events, food, Harlem, Harlem bloggers, Harlem blogs, Harlem businesses, Harlem restaurants, HarlemGal, The Apollo Theater, Things to do in Harlem and tagged 125th street, Apollo Theater, Harlem, Harlem bloggers, Harlem Blogs, Harlem Red Lobster, Harlem Restaurants, Harlem School of the Arts, Red Lobster. Bookmark the permalink. Oh! and they need to get rid of all of those nasty low brow stores and while they are at it, I have never seen any other street with SO MANY street vendors!!! What are they all doing clogged up on one street like this?? ?